The spiral pendant with a floating opal and pinwheel edging is an intricate designs. This colorful piece is created using the Spiral pendant design and complemented by a detailed pinwheel pattern around the edge. The brilliant opal in the center sparkles in the light and comes in a variety of shapes including hearts, moons, stars and more. 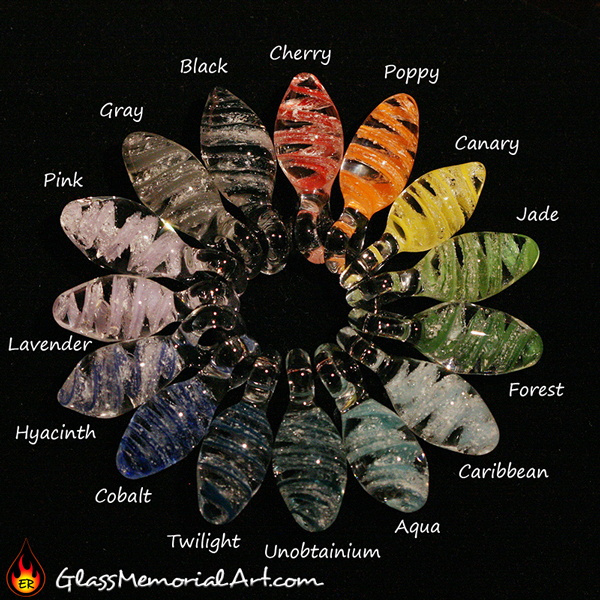 Choose the colors and shape of the opal that you would like. This design comes with a solid color backing and can be inscribed at no additional cost. Losing my dog was hard. I wanted some special way to remember her life that I could look at and hold with fond memories. I chose Misha to make my piece based on her other works and I am so glad I chose her. She is kind and really wanted to make a piece that was special to me. She listened to what I wanted and gave me a piece that was better than I could have imagined. I will be using her in the future for my next loved one who passes from this earth. Her art really helped me with the grieving process. ~Candice M.